In the summer there’s no shortage of fun things to see and do. So naturally, it’s also the time more people begin to hit the roads. Whether it’s visiting the cottage or road tripping with friends, summertime and cruising go together like marshmallows and a campfire. But with so much driving on the horizon, you might be feeling worried about how you’ll get there. If you’re looking for a new car to drive your summer, the 2019 Honda Fit might just be what you’re looking for. They say good things come in small packages and this subcompact car is no exception. To see if it’s the right fit for you, here are four reasons to check out the 2019 Honda Fit this summer. The carbon tax, which came into effect April 1, 2019, has lead to a spike in gas prices across the province. Unfortunately, Ottawa drivers can expect additional increases when seasonal pricing hits the pumps. 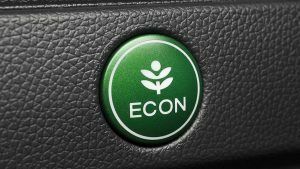 With prices as high as ever, having a fuel efficient vehicle is a must. In terms of fuel economy, the 2019 Honda Fit is an excellent choice. For starters, it boasts impressive ratings of 7.0/5.9/6.5L per 100 KM (city/highway/combined). Another feature that gets you more for your dollar is the Econ Mode button. Econ Mode can be found on trims with the available continuously variable transmission (CVT). 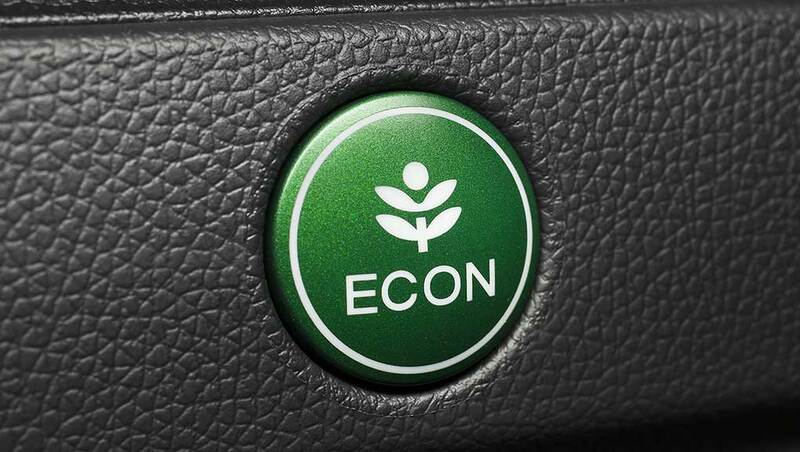 When engaged, Econ Mode will adjust the engine and other non-essential functions to reduce fuel consumption. If that wasn’t enough, the Fit also features Eco-Assist. Eco-Assist displays blue and green bars on either side of the speedometer to show you how efficiently you’re driving. By adjusting your driving for that green light, you can be sure you’re getting the most out of your tank. Summertime also means summer gear. Fortunately, Honda has managed to fit a lot of room into the Fit’s small frame. The surprisingly spacious 2019 Honda Fit features an innovative design and cleverly crafted Magic Seats. Thanks to its set-up and seats that fold flat, you can maximize the standard 16.6 cubic feet of cargo space into 52.7 cubic feet! The 2019 Honda Fit comes with a number of exciting features. For starters, Honda Sensing comes standard on all trim levels. You’ll also get full smartphone app integration technology with Apple CarPlay and Android Auto on all but the LX trim level. After all, what’s a road trip without a fire playlist? Driving in the summer is great. Missing out on beautiful weather isn’t. With an available power moon roof, the 2019 Honda Fit offers you the best of both worlds. They say life’s about the journey, not the destination. Whatever your summer has in store, the 2019 Honda Fit will make sure you get there. And with gas prices expected to rise to an all-time high, the Honda Fit will also make sure you get the most out of every litre. Of course, the best way to see if a car is right for you is to drive it yourself. So if you’re interested in learning more about the Honda Fit, make sure you set up a test drive today.